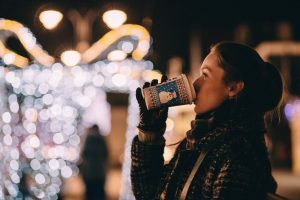 Present buying, card writing, parties and endless ‘we must catch up before the holidays’ occasions — it’s no wonder self-care gets pushed to the bottom of the pile at this time of year. And it’s exactly this time of year, with all of the extra stresses on our minds and bodies, when we need to practice self-care the most. How else are we going to breeze through the holidays with the energy we need to enjoy all of that Christmas time fun with our friends and family? So how do we minimise stress amidst the madness of the Christmas countdown? It’s all in the planning. It’s time to figure out all of the extra tasks you’ll need to do to prep for Christmas and decide which of them you can do ahead of time, before the craziness really kicks in. Having relatives to stay over the holidays? Take the time now to wash your spare bedding and de-clutter the spare room (if you have one). Order your festive food now or if you’re wearing the chef’s hat on Christmas day, take half an hour or so at some point over the next few days to find and bookmark the recipes you’ll need on Christmas morning. Cook and freeze a few healthy meals this week so that you don’t succumb to eating nothing but turkey sandwiches and cheese and crackers in that weird limbo week between Christmas and New Year. Buy and write out your Christmas cards now rather than leaving it until two days before the posting deadline (we’ve all been there!). One of the most stressful aspects of this time of year is the sheer expense of it all. If you haven’t done so already, it’s worth making a list of all of the people you’d like to buy presents for and brainstorm a few gift ideas. That way you’ll be ready to pounce as soon as you find pre-Christmas sales or special offers. To help you out on that one, we’re holding a flash sale on the 14th of November for any treatments to be taken in January; the ideal gift for anyone in your life who deserves a little pampering (yes, yourself included!). This is not the season to let self-care slide. As if all of the extra stress and activity weren’t enough, your poor body has to deal with winter bugs too. To help ward off any illnesses, it’s vital to take some time to look after yourself properly. Keep up the healthy eating, get plenty of rest, and schedule some time for things that calm your mind, like yoga or just some quiet time reading a book. Don’t forget to stock up on cold remedies so that you don’t have to trudge to the chemist while deep in the throes of a sniffle sesh. And don’t be tempted to skip your regular treatments just because you’re busier than usual; you’ll absolutely zip through your to-do list once you’ve had a great relaxing massage. We love an impromptu facial or a last-minute lunch with pals but this isn’t the season for spontaneity! Everywhere is crazy busy right now so it’s best to book everything as far in advance as possible, including your beauty treatments. Night out with work besties? Book a booth in your favourite bar now. Travelling to the in-laws over Christmas? Get your travel sorted. Know you’ll need a relaxing massage or a manicure before party season hits? Get in touch now to make sure we can fit you in. This is such an amazing time of year, it’s only natural that you spend so much time and energy trying to make it magical for the people you love. Remember though that it’s equally important to show yourself some love — you deserve to have a magical time too! And I bet your friends and family would agree.